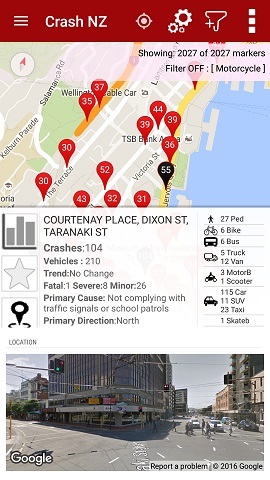 Browse the map of 3500+ high incidence crash locations across New Zealand, with custom filters. Making sense of the mayhem! 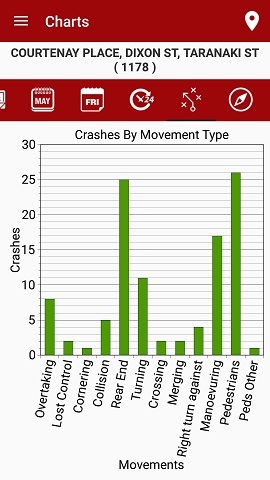 NZTA (NZ Transport Agency) collects data on road crash reports provided by the NZ Police. 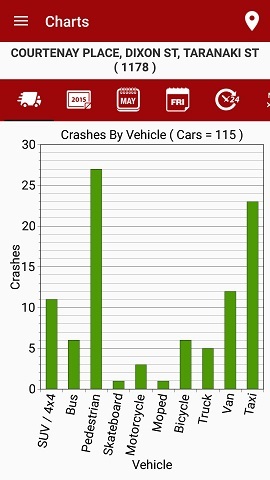 There have been more than 500 thousand crashes recorded since 2000 and more than 5000 fatalities, and NZTA makes this data available. 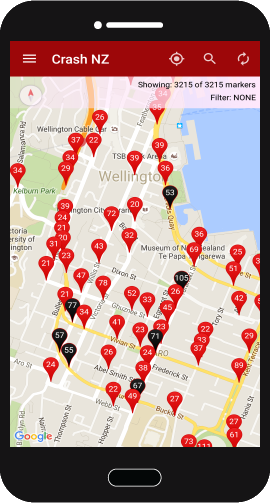 This site represents our example of how this Open Data can be made interactive both for the public and for programmatic use. A mobile app is available for Android platform smartphones .